I stamped the arch twice on gold paper in black ink, cut them out, and joined the halves together. 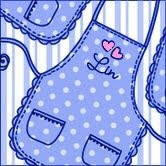 Then I colored in parts of the design with a watercolor pencil, and added a few white dots ala Kathy. The green strip was first stamped with the Envelope Pattern in a green ink, overstamped the sentiment in black, and then I faux-stitched along the edges. Is this inspiration photo not spring in a bottle? And some of my favorite colors to play with. 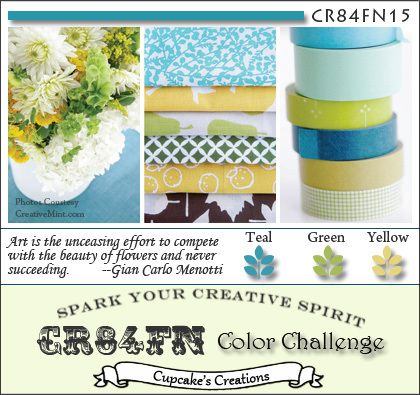 CR84FN always has the best colors and I love playing each week! This one started with white cardstock, stamped with the large blossom stamp in Versamark and white embossed, then colored in with markers, framed in a green paper, and onto the brighter pink background. 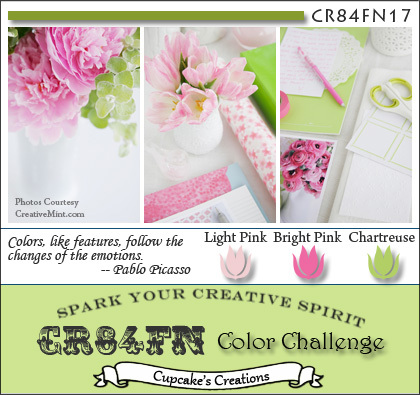 I added a die-cut label for the sentiment stamped in the same green marker, and added some pale pink ribbon and tiny green buttons. For my second card, I started with a piece of Hero Hues Carnation Layering Paper and stamped with versamark, embossing in white again. I only needed to shade a little bit over the already pink flowers with the same pink marker as I used above. I also used the same green marker as above, also, but it shows up a little browner, as it is layered over the carnation color. This was trimmed out, framed thinly on white cardstock, then put onto my background of a different green cardstock. I embossed my sentiment in versamark and white powder, added a seam binding ribbon dyed with spun sugar distress ink, and added a new button that Savannah gifted me last weekend, tied on with white twine. I see that Sally had the same thought as mine - see her card here. 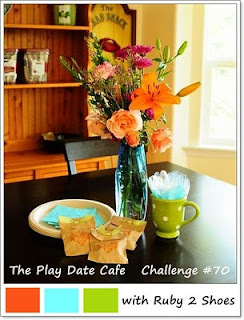 Here is the inspiration photo for this week at the Play Date Cafe. I associate these colors with Florida, and as I'm writing this post, I'm having a glass of fresh-squeezed orange juice made from Honey Bells - HEAVEN! The only thing better would be having it on the beach overlooking the beautiful blue-green waters here in Florida, under a palm tree! I'm also entering this into Moxie Fab World's Stamping With Markers challenge, because all of the birds and flowers were colored with markers after stamping the image using the emboss-resist technique. Virginia and I have been friends for 2 years, but this is the first I've met her, and now I've made a new friend in Savannah! How's that for a 2-for-1 deal? We got to spend most of the day together, shared a meal, and even had some time to get outside in the gorgeous Florida sunshine and enjoy some of the grounds. I hope I can speak for all of us to say that we all had a fabulous time! And may I also give a shout out to all of our husbands who patiently took these pictures, listened to our endless card-making conversations, and gave us this time with each other. The silhouette stamp called Dancing with Flowers was stamped and white embossed on white cardstock, then I sponged in the background with 4 distress inks. Anywhere that there was a flower, I added a tiny pastel button. The bottom edge was scalloped with a punch and I added a dyed seam binding ribbon centered with a felt flower button. I used as many small flowers as I could fit on my card, all stamped on the same pink cardstock as the card base, using an ink called Port Red; when stamped on grey and pink it comes out a nice violet color that matches my violet cardstock exactly. The definition of sweetness, don't you think? 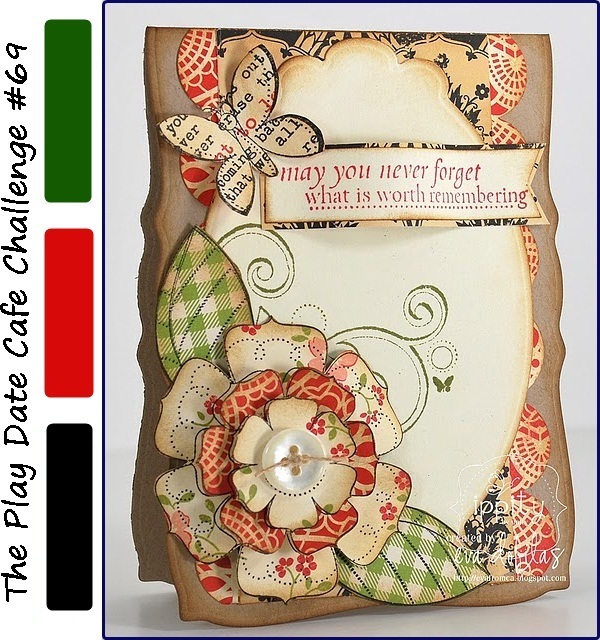 The Play Date Cafe and CASE Study challenges have issued us a joint challenge, to CASE this card by Eva Dobilas, usng green, red, and black. This card started with this new ledger paper from a K&Company paper pad. The flower was already printed in the corner, so I colored it using red and green watercolor pencils, and trimmed out a panel. Then I stamped my sentiment and framed the panel in black. That was placed against a Cosmo Cricket design paper, bordered with punched music paper, and then everything was put onto a kraft card. My butterfly uses a cut-out butterfly from DCWV Mariposa paper, layered over the same punched butterfly used on my card below, with a red heart gem added to it's body. 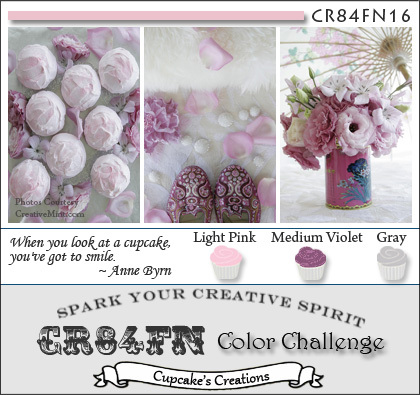 Please scroll down to see my other card made for this challenge. This first one uses mostly stamped images. I chose to use a lace background and I felt that I should use jewel-like reds and greens to stand up to the richness of the black against the cream background. 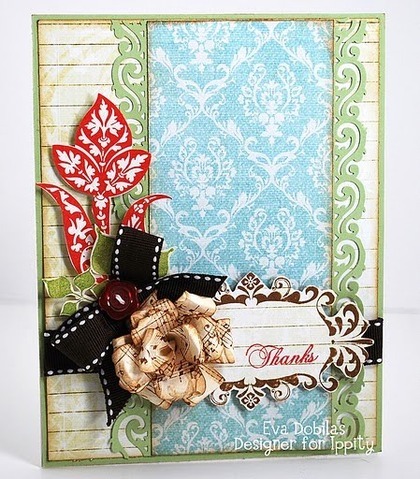 My red scalloped borders were first dry-embossed, then punched with a border punch. My flower is layered using red and black. 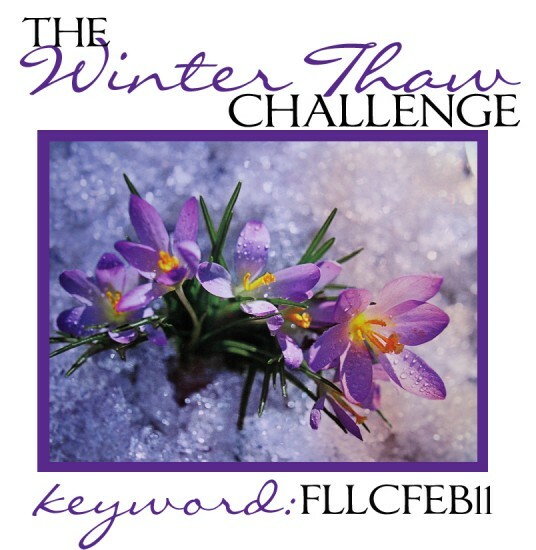 Please see my 2nd card made for these combined challenges, found in the post above. There are several challenges going on (PTI and Penny Black) to use vellum, but I don't have the right stamps to enter there, so I have just been playing with what I have. I stamped the frame on vellum and centered the Cherry Blossom Bird inside it, clear embossing both images. Then I turned the vellum over and used my watercolor pencils to color in the details. When you turn it back over again, it gives a kind of stained-glass look. Then I trimmed the frame around the first rectangle, cutting out the fancy work. Next I stamped the clouds background in blue on a piece of white cardstock and overstamped the frame in black, and trimmed it out the same way. This was then glued behind the vellum image, using tiny dots of glossy accents at the corners and the middle of each side, under the black stamping. And lastly I stamped and clear embossed the frame again on a plain white card, then glued the above panel to the inside of the frame. The nest was stamped on white cardstock, watercolored, and cut out, then popped at the corner of the frame. I couldn't resist adding little pink pearl hearts over the hearts on the frame. Hero Arts brought out lots of silhouette stamps for 2011, and I was lucky enough to get 3 of them. I've been playing with them the last few days, and wanted to share 3 different ones, all stamped on designer papers. This first one is called Musical Walk. I chose the paper it was stamped on because the pinwheels just go with the overall feel of the image. Next is a cling entitled Dancing with Flowers. I used what I think of as "Easter" colors, papers from Basic Grey's kioshi papers, and one of Donna's dyed seam binding ribbons. And finally, this one is called Let's Garden Sihouette. 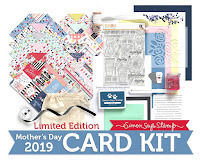 It was stamped over a cloud paper, framed in yellow, then in a nestie label and finally everything centered on a white card stamped with the new Envelope Pattern. I found both these stamps at half-off at Hobby Lobby in January. Just now playing with them. I stamped the bird and branch, cut the nesties shape to frame it, and sponged tumbled glass around the edges. Then I colored it with watercolor pencils. 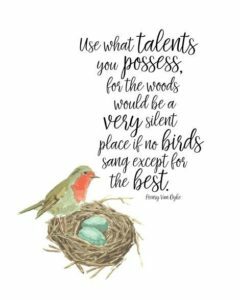 The nest was stamped separately, colored, and cut out. Then I cut out around the bird and branches enough to fit the nest on the branch. This resulting image is a lovely sign of spring for me. Made for the CARDS blog challenge to use doilies from last week, but not chosen. I thought it would make a nice post for my favorite holiday. 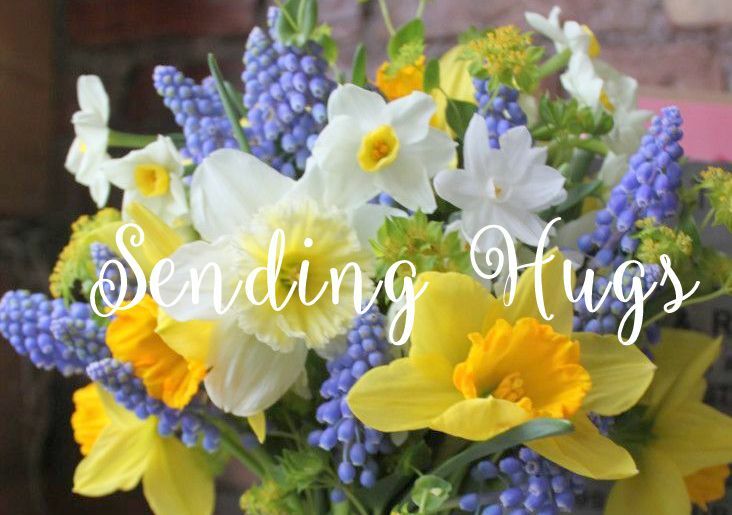 I hope you all get lots of flowers and chocolate - sending you all big hugs! 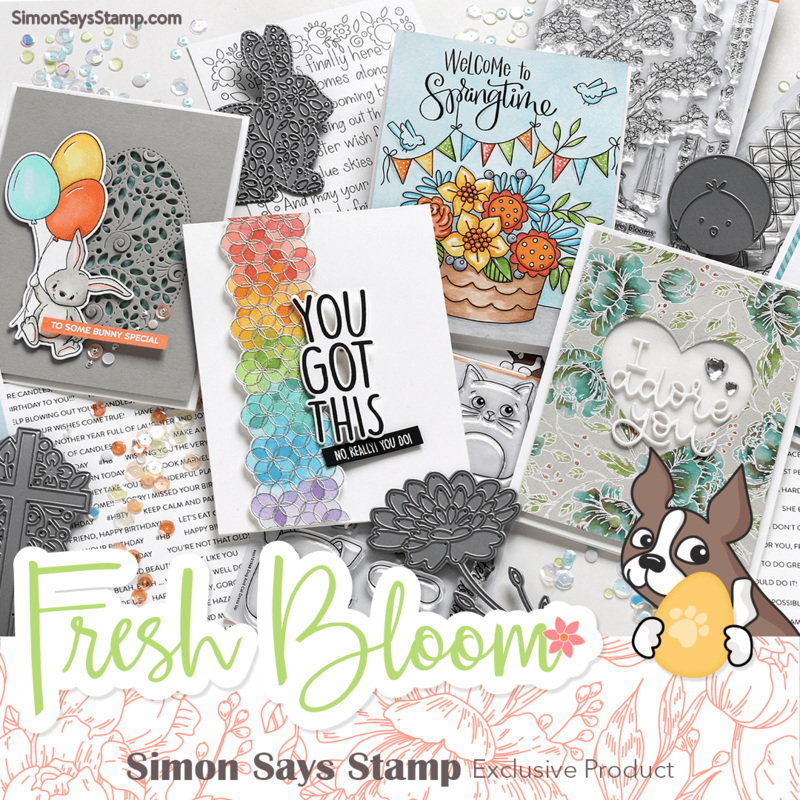 I'm so glad I got this big Flower Text stamp! 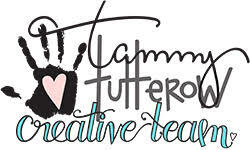 So many fun ways to use it.....here I stamped it in black on white, then overstamped it with the Clouds background in tumbled glass. The flowers and leaves are paper-pieced using BoBunny dotty papers, and shaded with colored pencils. Just sharing a card I made using some new Hero Arts stamps. The Simple Frame was stamped on orchid cardstock in brown ink and clear embossed, and again on a page of Brenda Walton's Flora & Fauna Mat Pad, which was trimmed to fit inside the first stamping. I colored the Wildflower Garden stamp using markers before stamping, and I added the sentiment, the twine and a pink heart pearl before centering it on the orchid panel. Then the whole thing was placed onto a kraft card. Happy weekend, everyone! It's a beautiful sunny, blue-skied day today here in SW Florida, though a bit on the cool side, but they say we're due for a warm up next week! Hope the sun is shining for you, too! I used the sketch from Card Patterns for this week, and had just as much fun deciding on the papers and stamps I would use to simulate her little dress! Hello everyone! Hope your week is going well and that you have some fun things planned for your weekend.........Valentine's Day is right around the corner! 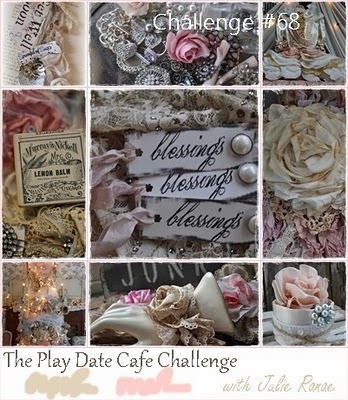 I'm here today to play in the Play Date Cafe Challenge # 68; didn't Julie choose some fun shabby-chic images to get our juices flowing? I remembered a post from Jacqueline where she used this vintage cologne bottle label and referenced it here at the Graphics Fairy - thank you, Jacqueline! 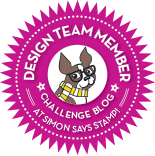 The only stamped image here is a scrap from a white-embossed lace background; everything else is a scrap of printed paper. The little bit of music is something that Jacqueline sent me awhile ago. I hand-dyed the seam binding using spun sugar distress ink, and also used it to color in the center of the digital label. I also used antique linen to darken the lace that Carole sent me and edge some of the elements. The tiny pink roses are Martha Stewart. I got to use some brand new Hero Arts 2011 stamps on this one, and some more of my friend Donna's hand-dyed seam binding in that gorgeous blue. To play up the blue, I kept almost everything else black and white. Hi everyone! I wanted to make a card using this lovely Penny Black stamp called Poppy Poem. 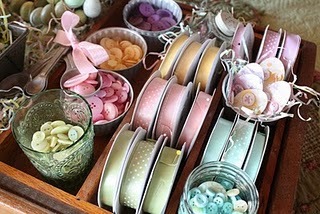 I've already done it in pink, but this time I wanted to include this gorgeous hand-dyed ribbon from Donna Mikasa. 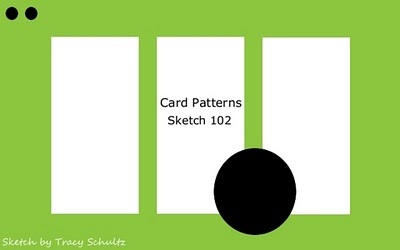 I'm entering this into the current Penny Black challenge, to use white space as a primary element. The white panel was dry-embossed with a cuttlebug flourish folder, and then put onto blue cardstock. The poppy was watercolored and diecut with a nesties label and edged with some faded jeans distress ink. 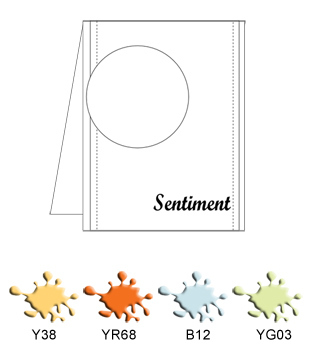 The sentiment was stamped with the same ink, and both were popped above the embossed background. On a happy note, I went shopping today for little baby girl clothes and found some sweet little things in pink and green - had a ball! We'll be visiting our little granddaughter Alma next week!!! 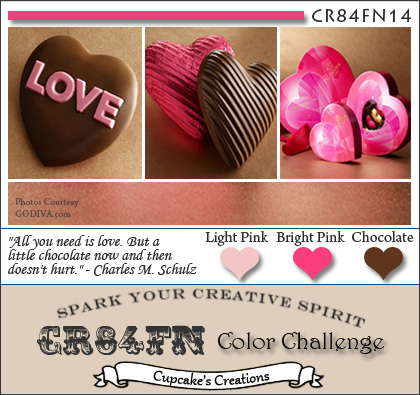 Here's my take on the challenge - love the chocolate and pinks together, though my 2 pinks aren't that different in tone. I paper-pieced the large flower, using solid and printed papers, adding an extra darker pink layer all around the edges, and dry-embossed the background in a tiny flower design. 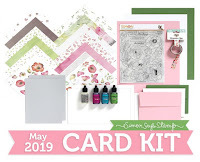 And here's my take on it.......I zoomed in on the dotted green base of the tiered stand and the doilies, and then the yummy colors - I love the way the minty green, peachy pink, and chocolate work together! I started with a chocolate card base, and trimmed a piece of Lasting Impressions Whimsical Dot in kiwi to fit the front. Then I added a paper doily, and topped that with some hand-dyed seam binding (worn lipstick distress ink). The hearts and sentiment are from an Impression Obsession clear set of hearts, stamped in worn lipstick and vintage photo distress inks, and I added some punched hearts and a lacey one that my friend Linda sent me, and topped it with a pearl heart gem. I found a few new challenges just recently - Speedy the Cat's Friends Challenge #41 from Mark's Finest Papers. The challenge this week is to make something using self-made flowers. This card also works for the Wild Orchid Challenge: "Love is...". And I also want to enter this into the Hero Arts challenge this month. And this works for Simon Says "Love is in the Air", and Papertake Weekly's "Anything Goes + Flowers". 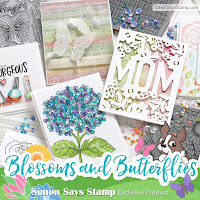 I've used my current favorite flower stamp to make the flower, stamping each size and putting it together using 5 layers. 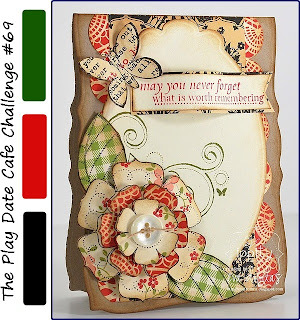 That was added to a die-cut scalloped heart, overstamped with a script, and then that was placed over a panel of my favorite BoBunny passion fruit . I used these new flowers to try and simulate daffodils, by bending up the petals, and made up some floating clouds with the words from an older clear set of Spring word stamps. To finish I added some twine, a felt flower and a button to anchor my sentiment. 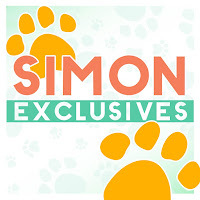 Supplies: blue cardstock, BoBunny double dot dp in yellow, orange, and green, Hero Arts CL495 Blossom Art, CL272 All Occasion Messages, Versafine onyx black ink, Impression Obsession WP25 Spring, Colorbox Frost White ink, Hero Arts felt button and spring card button, white twine. I'm also entering this into this month's Hero Arts challenge: Love and Friendship. One of the fastest cards I've ever made, using a Stickeroo from the set called Hearts and Flowers, some tiny alphabet stickers from Making Memories, and the heart border punch from Martha Stewart!